NobelVision is working overtime to make sure your practice is as successful as it can be! When patients are in your office, it broadcasts highly engaging videos on the specific treatments you offer to help boost case acceptance. After hours it converts to a professional development resource that you can use to access continuing education courses for yourself, your staff, and referring doctors. 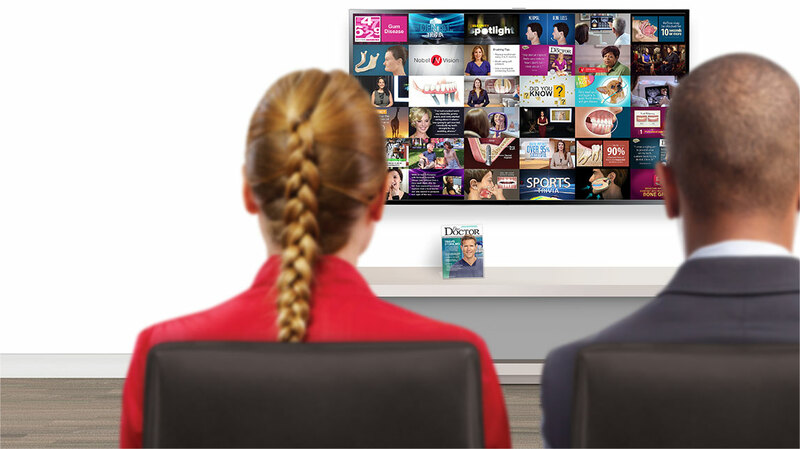 Your patients are sure to be engaged by NobelVision’s lively variety of video programming, all of which is designed to generate interest in the services you provide. They’ll see everything from detailed treatment overviews to dentistry-related celebrity interviews. You’ll want to watch it, too! NobelVision isn’t just for patients! You can use it to access a wealth of continuing education courses in the comfort of your own office—on demand, 24/7. Use it to earn CE credits, train staff members, or educate referring doctors on the services you provide. 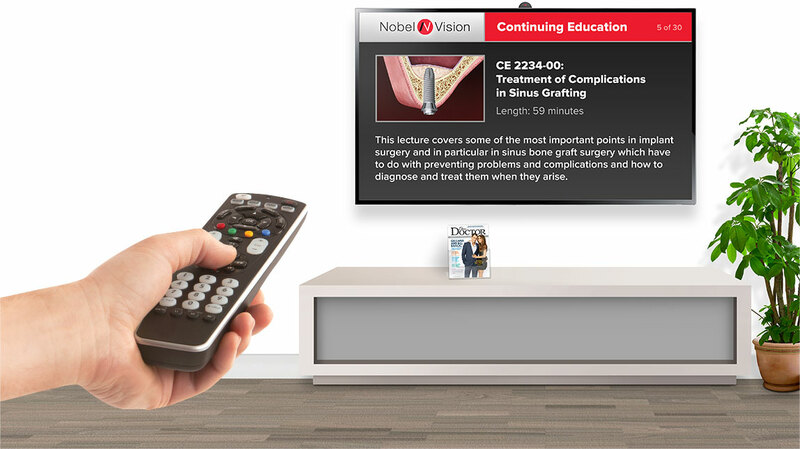 Ready to incorporate NobelVision into your practice?